Rugged, mystical and untouched, where majestic castles dominate the skyline of medieval cities and unspoiled wilderness creates an almost ancient isolation. Scotland is a land of extremes, and few places can claim such a wide variety of experiences.The Scottish Highlands evoke images of Celtic warriors roaming the plateaus of the Cairngorms, and thatched houses provide shelter from extreme weather on a barren landscape. The major cities appear medieval, yet feature a modern atmosphere. Modern on the outside, yet primitive underneath, Scotland is an authentic land of ancient legend. Haven’t started planning your trip to Scotland yet? So let’s go! And maybe you’d like to consider a trip to Ireland, which will complete your adventure in the wild and green nature of this region. Begin your trip in Glasgow! 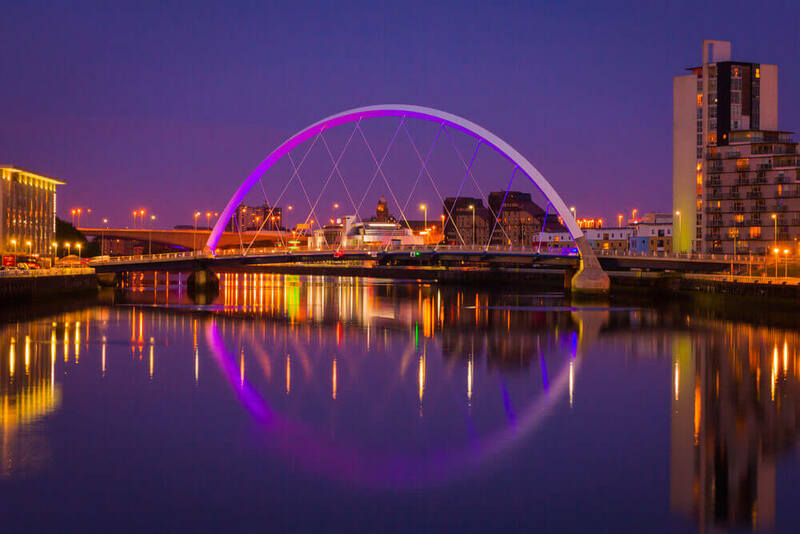 With world-renowned museums, theaters, historic sites, and more, Glasgow is a modern city with a cultural and historic twist. As you walk among the beautiful old buildings of Central Glasgow, you feel as if you are walking through history – that is – until you spot the modern steel and glass buildings. This offers the city a stark architectural contrast. Glasgow Attractions: There is no shortage of museums to visit in this cultural hub, catering to a wealth of interests. From art, to history, to architecture, and beyond, Glasgow has it all. After exploring the city center, art lovers should make sure to check out the Glasgow Art Museum. Next, architecture enthusiasts should visit the Mackintosh House, whose interior is redesigned as an exact replica of the famous architect’s home. In addition to the incredible metropolis, visitors can find amazing nature surrounding the city. 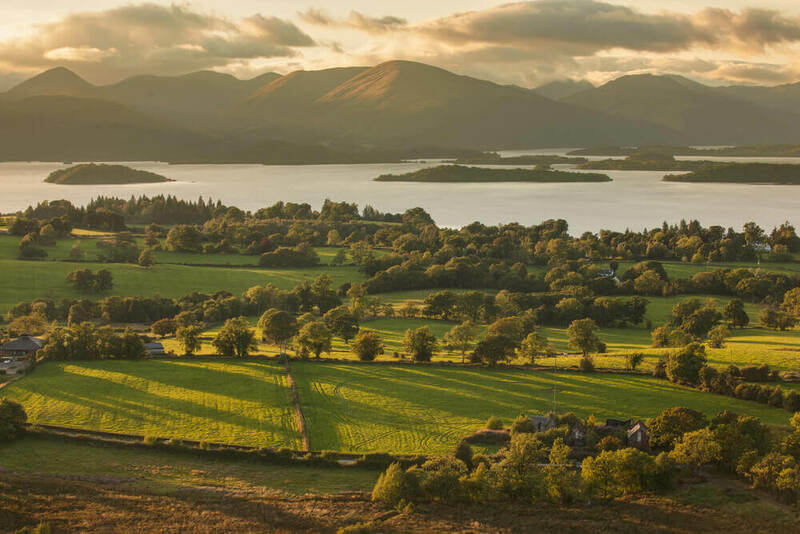 Day Trip: After exploring the city, head to Loch Lomond and Trossachs National Park. The park features several lochs, hikes through the mountains, and some of the most stunning views in the country. “Like a Local” Tip: Take your lunch on the go and eat it in Pollack Country Park. Spend your lunch break people watching and relaxing, followed by the Burrel Collection, uniquely situated in the middle of the park. Next, head to the place where the three great lakes of Scotland meet. Here lies one of the most romantic and iconic castles in the world, Eilean Donan Castle. Visiting a castle on a trip to Scotland is almost mandatory, but making the effort to include this particular site is highly recommended. Originally built in the mid-13th Century, Eilean Donan Castle was home to many occupants over the years, and subjected to several raids. After succumbing to decay and neglect for many years, it is now fully restored and is an astonishing preserved medieval castle. In addition to the architectural wonder, the castle boasts stunning surrounding nature. As mist rises in the morning and first light casts a haunting shadow over the lake, Eilean Donan Castle presents itself in a stunning landscape of wildflowers, still waters and fresh mountain air. There are many castles in Scotland, but none quite like Eilean Donan, and it is a must for your list of things to do in Scotland. 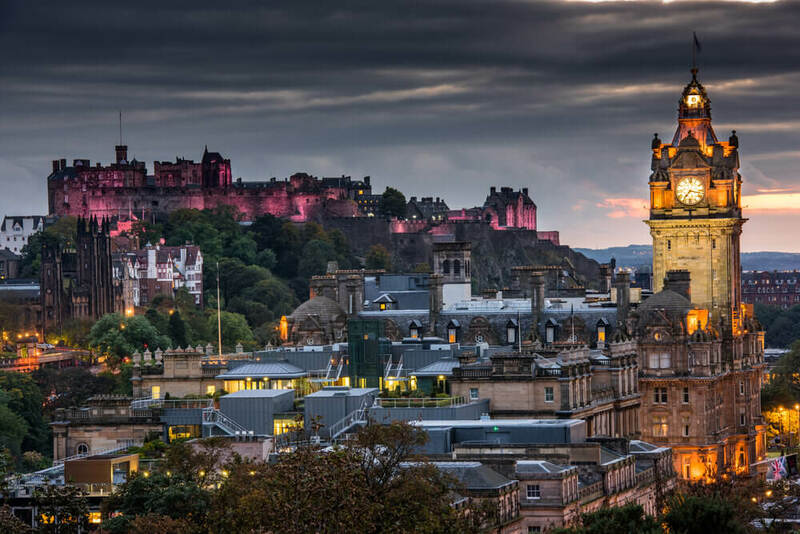 Next, head to the ancient and atmospheric, the medieval city of Edinburgh, a destination with so much to offer. Explore the old city walls and narrow cobblestone streets. The, visit the magnificent castle and quaint botanical gardens. Don’t forget the lively nightlife and endless number of restaurants! Top it all off with fascinating museums and spectacular art galleries, there is no shortage of excitement for any type of traveler. Although a modern city with a cosmopolitan feel, the medieval remnants offer a distinct impression that it will never let go of the past. 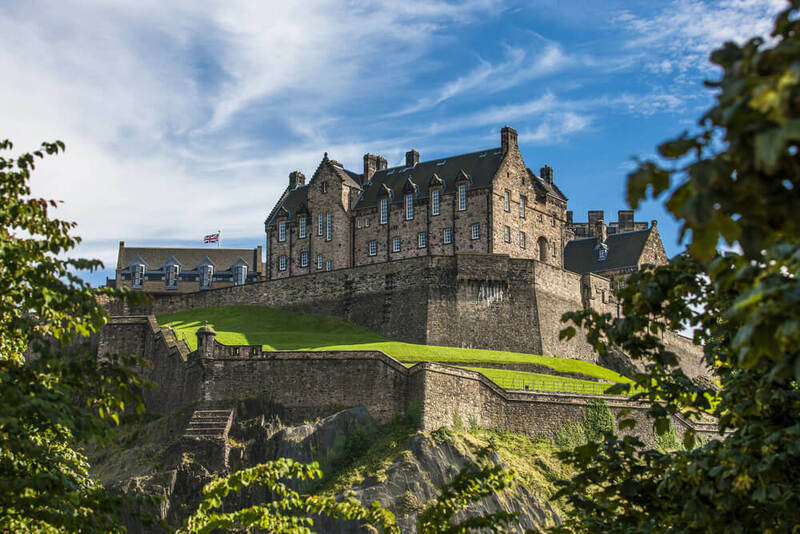 Ideal for walking, safe, and a high quality infrastructure for tourism, Edinburgh is the perfect place for your trip to Scotland. 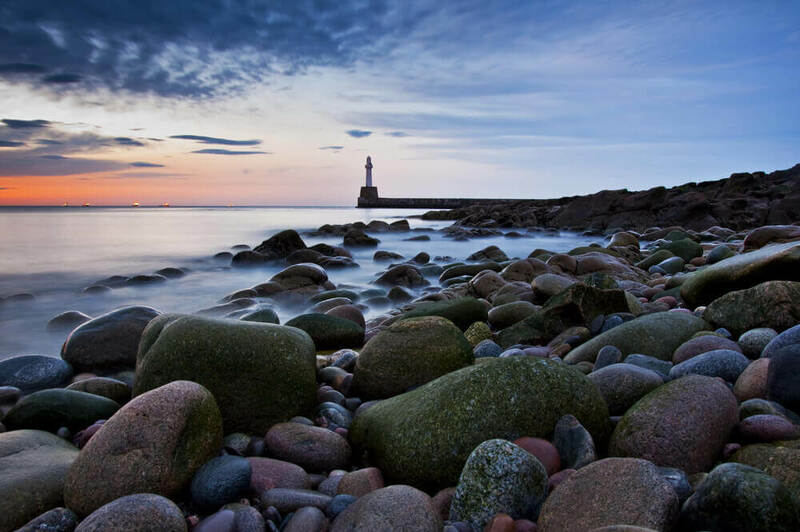 This 8000-year-old city is also known as the “Granite City.” There is something for everybody in Aberdeen, including breathtaking nature, whiskey tours, castles, and the perfect mix of history and novelty. 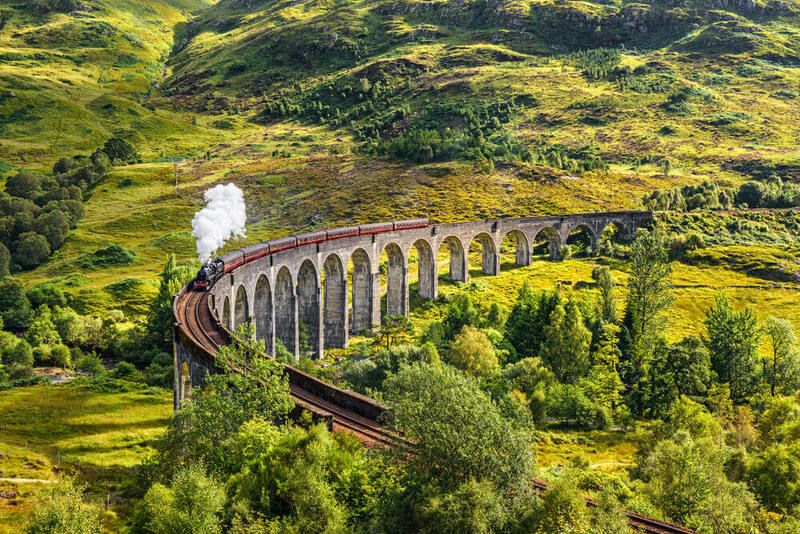 In addition, the shire is a stunning landscape, stretching between lush green hills and rapid waters, and is one of the most beautiful things to do in Scotland. Take a day trip to Cairngorms National Park, which is located in the heart of the Eastern Scottish Highlands. Named for the famous Cairngorm Mountain, the park is wild and rocky. Enjoy unlimited hiking opportunities and marked trails, each requiring a varying degree of effort or fitness. You will see old, abandoned cottages and ancient stone walls, ruins on mountain tops and never-ending fields. With excellent roads, accommodations, and several villages to stop in, few places offer the convenience of Cairngorms National Park. 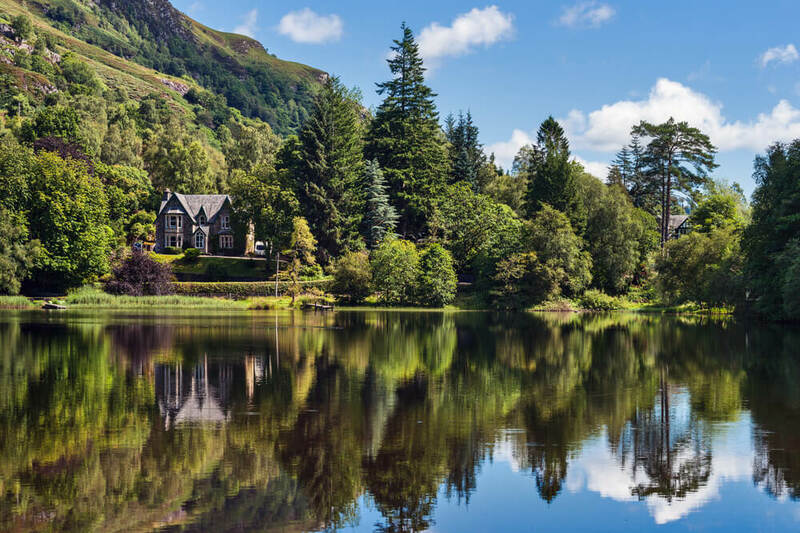 The next stop on your trip to Scotland, just south of Inverness, Loch Ness Lake is a 23 mile long freshwater lake in the heart of the Scottish Highlands. It is the halfway point of this trip itinerary. Ruins, castles, ancient stone walls and stunning scenery are common in the surrounding area. Loch Ness is a major attraction and world famous for truly unique reason. 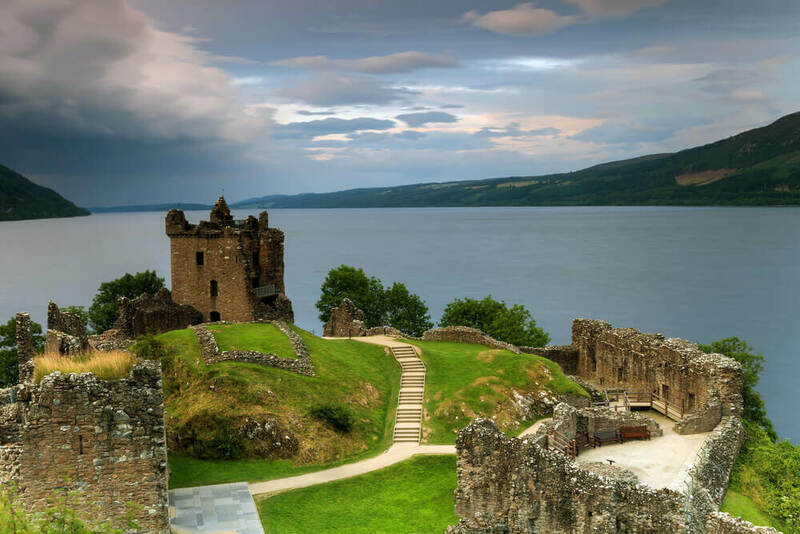 According to legend, this awe-inspiring lake is home to the Loch Ness Monster. Many sightings have been reported by locals since the 6th Century. They claim to have seen a great dinosaur-like beast appearing in the still waters in the mountains. Loch Ness is a spectacular destination, and the legend behind this landscape is enough to make it a must see on any trip to Scotland. 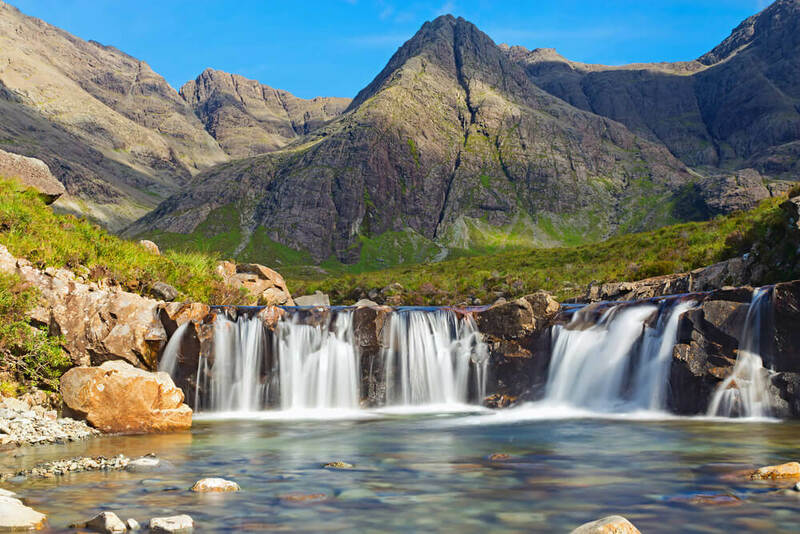 Towering peaks, rugged cliffs, a churning ocean and quaint country villages, the Isle of Skye is one of Scotland’s most visited destinations. Few places in the country can offer such an authentic experience, surrounded by breathtaking nature. Locals are notoriously welcoming in the rural areas of Scotland, but it would seem that the islanders treat hospitality like a profession. Fairy Pool, Isle of Skye, ScotlandAs with several parts of Scotland, there are also castles and ruins scattered around the island, which are easily accessed. Many tours and independent travelers arrive in the main towns of Portree and Dunvegan, but with 50 miles of coastline on either side and much of the island uninhabited, finding an isolated pocket for a more personal experience requires little more than a short drive. The island is truly one of the most beautiful places to visit in Scotland. Natural and unforgettable, a trip to Scotland is a journey through the outdoors and an encounter with an ancient landscape, and magical history. We hope you enjoyed our list of the best things to do in Scotland! Check out our travel Scotland planner and start planning your trip to Scotland! 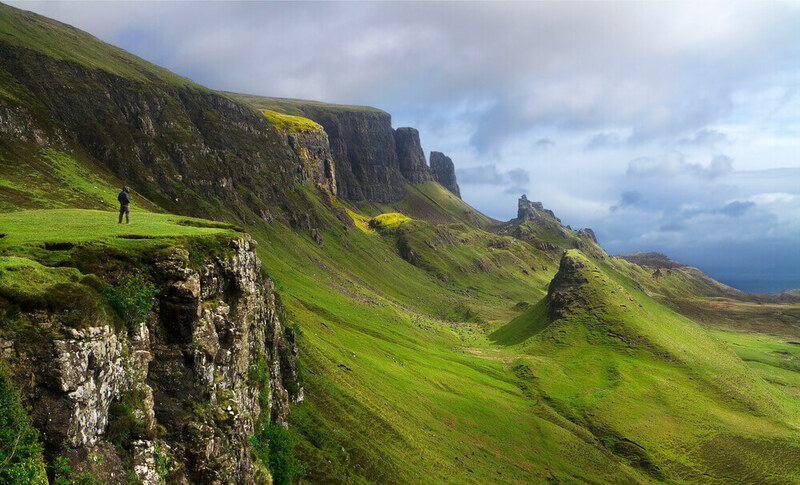 Majestic castles, lush green hills and legendary lakes - Scotland should be high on your bucket list! 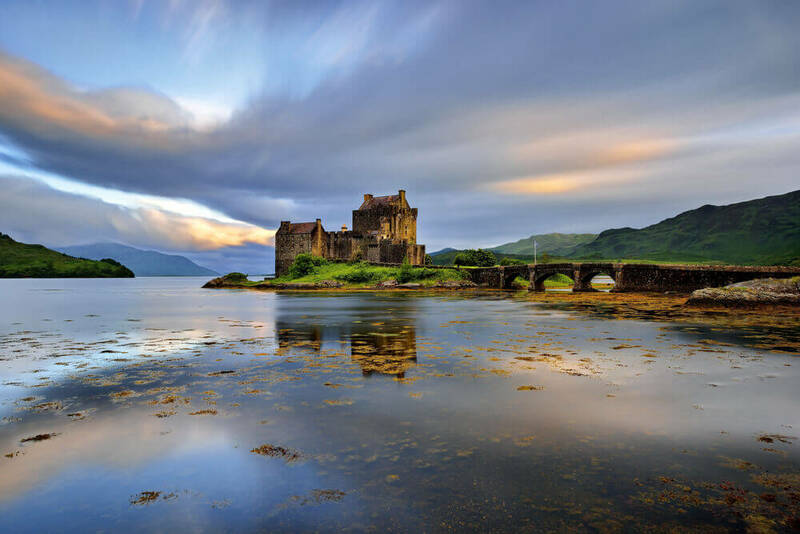 Plan a trip to Scotland to experience the beauty and majesty of the land of lochs and legends. Quiz Yourself : What Type Of Traveler Are You? 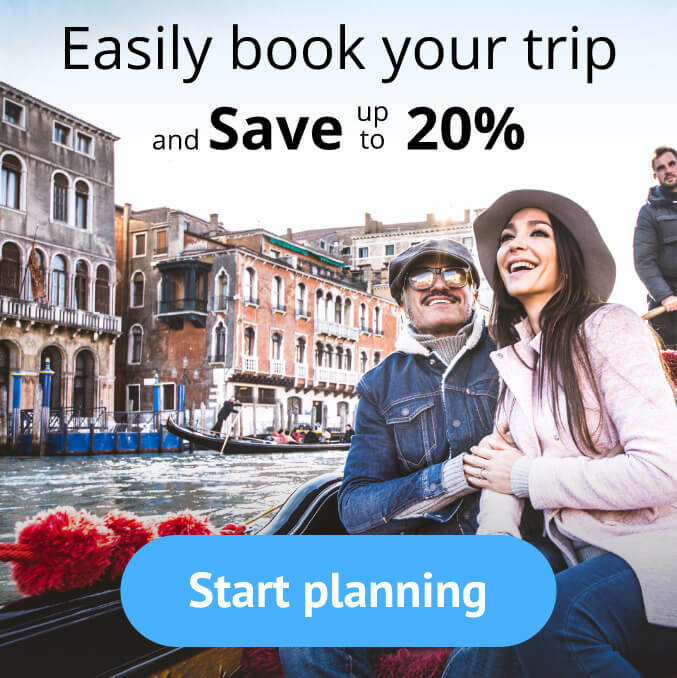 This article is very useful for travelers. London is also a very beautiful city in the UK. you should visit both London and Scotland!